Our spacious, sun-filled cathedral ceiling great room. Expansive great room, relaxing and comfortable seating. A view of the spacious seating area in our great room. Another view of our great room - relax in recliners. Enjoy an intimate meal, or extend the table to seat up to ten. Large, fully equipped cook's kitchen, newly renovated in 2018. View of the kitchen, to the dining area and great room. Breakfast bar, for meal time or an afternoon indulgence. Spacious and bright queen sized bedroom, sliding door to balcony. One of three full bathrooms. Al fresco dining and relaxing: savor the sun and ocean breezes. Welcome to Katama Delight of Martha's Vineyard! We've just completed a MAJOR MAKEOVER for the 2018 season! Our kitchen and baths have been completely remodeled. We also rebuilt our deck and balconies, and there's more . 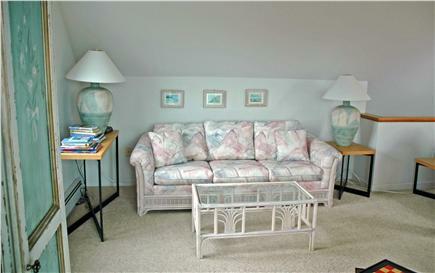 . . a newly decorated great room and updates to other interiors as well. 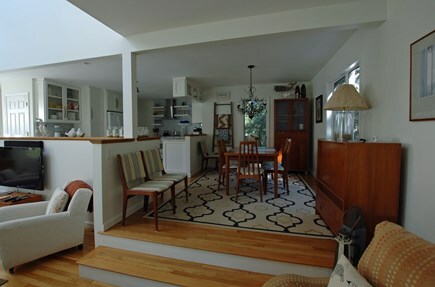 Lovely custom-built tri-level contemporary, pleasant WALK (3/4 mile) TO SOUTH BEACH and bike/drive (approx 2 miles) to the historic village of Edgartown. The bedrooms are large, airy, and comfortably furnished. In addition to the bed sizes listed, each room has bedside nightstand(s) with lamps, lovely vintage bureaus, cottage-style headboards, a large closet, and carpeting. Two queen bedrooms have sliding doors to balconies. The third floor twin bedroom has skylights. The third floor sitting area has a queen sized sofa bed. A house cleaning prior to arrival and laundry service at departure for household linens are included services. Additional availability info: Please contact us with any questions regarding availability and rates. We welcome all inquiries. This is a Saturday to Saturday vacation rental. Additional pricing info: Our home is a great value for a family stay in this very desirable Katama location!, State and local taxes of 9.7% will apply. A first floor bedroom (queen-sized bed) and full bath(shower)is perfect for guests who do not want to ascend stairs to a bedroom/bath. Kitchen, dining and great room are on the first floor as well. There is a hand railing at the stairs to the entrance. We have rented a dozen homes at the beach before but usually in the Outer Banks. We are now in love with Martha's Vineyard. This house was perfect for 8 to 10 people who like to be together for meals, playing games, watching movies, and going daily to a perfect beach. Very high quality kitchen makes making meals easy and enjoyable. We felt pampered in this property surrounded by the beautiful setting of MV, and the homeowner's attention to detail in providing a lovely home. Thank you for your gracious review. It was a pleasure to host you. We are happy you enjoyed our home and your visit to the Vineyard - we are always thrilled to have our guests find the island the special place we know it to be and treasure. We look forward to hosting you in the future. Wonderful Family Getaway in Katama! 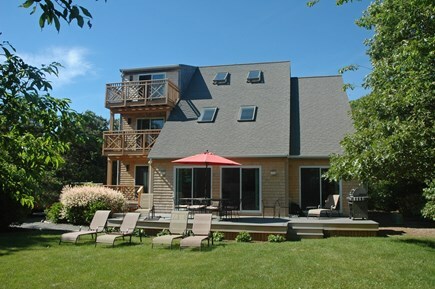 Our family recently rented this beautiful home in Katama and had a wonderful week in Martha's Vineyard. The home is lovely, clean, spacious and fully stocked with everything you would need and more! There is plenty of space to spread out and find a spot to enjoy a book or relax in the sun. The home is in a quiet community and although there are neighbors close by, the setting is very private. It was also in a perfect location for our family with teenagers/young adults to take advantage of exploring the island, whether it was walking or biking to the beach, biking to Edgartown or Morning Glory Farm or short car trips to Menemsha. The Right Fork Diner is a quick walk and the antique planes are fun to watch! Thank you for your thoughtful and kind review, and for choosing to stay "with us." We are happy you enjoyed your stay and were comfortable in our home. We look forward to hosting you again soon! We are very fond of the Katama area and were thrilled to find this property. 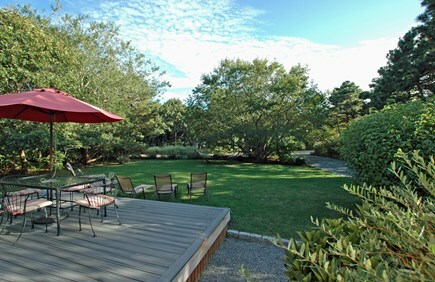 Located on a secluded side street, it offers easy access to South Beach and Edgartown center. The home itself is well maintained. My wife and I are particularly fond of the open concept, South facing, living room area, which boasts lots of natural light. The owners could not be more gracious. We hope to find it available again next year! We're very glad you enjoyed your stay and we look forward to hosting you in the future Thank you. We had a great stay. We had stayed at this house 14 years ago and were so happy to find the house to have even more amenities than when we stayed before. Everything you could need for a vacation away from home. Truly a wonderful vacation home. We are very pleased to host returning guests and look forward to hosting you again in the future. We are happy you enjoyed your stay. We strive to provide our guests with the comforts and conveniences of "home" and appreciate your kind words about our efforts. Thank you! Having the airfield nearby was an added bonus, not an annoyance. The planes take off rarely and only make you feel like you're at the beach, not to mention a great place to eat at the Right Fork Diner. The house is in great shape; but the best part is that the owner pays attention to the details. Most items you need are already there, i.e., inens, chairs, towels, dish detergent. She even greets you with a bottle of wine and some soap. We are glad you enjoyed your stay and would be very happy to host you in the future. We agree - being within walking distance of South Beach is a wonderful "feature" of our home, and our proximity to the airfield is a bonus - eating a delicious breakfast or lunch at the Right Fork Diner amidst the vintage aircraft, overlooking the grass air field is a treat. This was our 3rd time staying at this house and it has everything we are looking for - plenty of space for 2 families, close to the beach and town, a large deck for relaxing on and a great yard for playing on. We have made many wonderful memories staying in this home and look forward to our vacation there every year. We are pleased to hear you have enjoyed wonderful family experiences staying in our home. We enjoy hosting you! Beautiful well kept home with every amenity that we could think of. This is our 13th year of renting homes on the cape and this home by far was the one that stands out. Owner was friendly and accommodating. Great location and easy access to South Beach, yet in a fairly secluded neighborhood. We are very glad you enjoyed your stay and we appreciate your kind words about our home. We would be happy to host you in the future and we thank you for staying "with us." 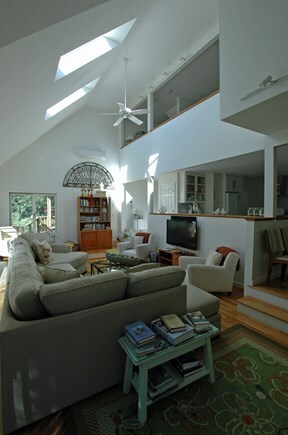 Katama Delight is the all year round retreat of a family of five residing in Boston. 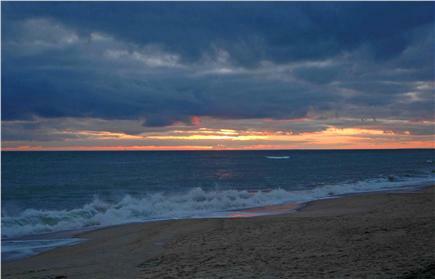 We love Martha's Vineyard and are happy to share our home with you. 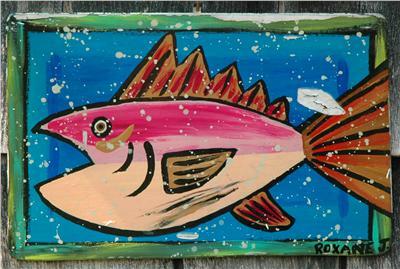 Katama is a residential area outside of the quaint and historic whaling village of Edgartown. Katama is on the south shore of the island. Our home is located on a quiet lane. It's private - a wonderful retreat. Our home is situated a pleasant walking distance across the Katama Plains - a rare protected grass habitat - to spectacular South Beach; a beautiful stretch of soft sand, gorgeous dunes, and frothy waves. South Beach is fantastic for body surfing. There are biking paths throughout the island. Our home is adjacent to the bike path along Herring Creek Road, which extends from Edgartown to South Beach. There are nature and conservation lands with miles of paths throughout the island. Enjoy walks through forested acres, along the ocean shore, through grasslands, marshland, and farmland. The natural beauty of the island is uplifting and soothing. It's the best of places for a magical family visit!